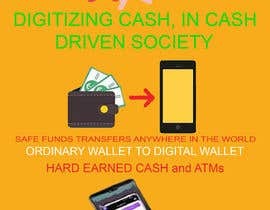 Need a viable, sustainable, low cost solution to convert an ecosystem of people (10 million+ population) from using cash to transforming to digital wallets. 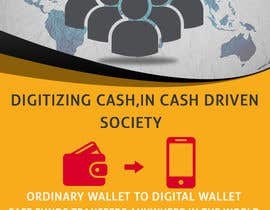 Looking for the model/concept to convert hard cash into digital wallet. In principle cash (money) can not be destroyed and therefore not viable. Objective: Replace a traditional bank concept of accepting cash with a new concept thats low cost to deploy into rural environments. I do agree with James H that this question is not that simple and requires detailed work, possibly with a go to market strategy note. Having said that I also do think that the requirements need to be clarified a bit more with details. So for example when you refer to carrying out a trial that cannot be reliant on a third party one needs to specify that the “third party” is being referred to as the technology partner for implementation or the business model (e.g a bank/telco partnership) or is being referred to as the agent model. Having said that every country’s rural environment is different and being able to penetrate into any market of a country successfully an overall analysis on the country outlook and industry dynamics is also required. That in itself is an entire study of its own depending upon the geographical location etc, number of customers, type of customers (their segmentation) etc. But nothing is impossible therefore if you want I can provide you with all the details required but with some more clarification in terms of where this will be used (from a student perspective or work perspective) as well as the objective of the study. Thanks! I’m going to pass on this contest. I understand what you want from us, but the amount of effort and time required to complete this task is more than I’m willing to put in. In order to submit a viable solution, we’d have to take relevant stakeholders and South African rural development into consideration. There’d be no way around that. In other words, this contest wouldn’t amount to a 5-minute brainstorming session, but instead, a comprehensive economic policy paper that may take several days, if not several weeks. Having gone through a number of sources, I’m not sure what to suggest here. 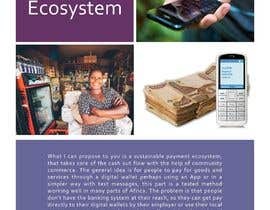 If you were tasked with achieving this objective and it’s not related to a school assignment, then you should probably start off by exploring why digital wallets failed in South African urban settings and then consider the implications. It was wise of you to request additional insight from that one contestant, but I’d still be cautious, if I were you. Freelancer.com really wasn’t the ideal choice for this kind of work. If you feel that this contest isn’t worth an extravagant amount of time or money, then simply let it go. But, even if you did increase the prize amount and contest duration (significantly), I’m not sure how many *legitimately qualified* freelancers would actually apply. Please don’t award a winner until after the submission deadline has expired. Hi, I'm interested in applying but was wondering if there is an option for you to see the concept in a presentation format (pdf?) Currently you've only asked for jpg. etc. Sure, i can revise or withdraw my entry and make it as detailed as you want. I think you would like me to provide more details on the first two pictures/slides that I shared? Or do you want a go to market strategy?